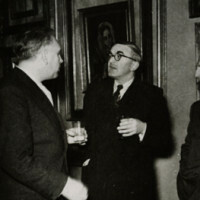 On Hildebrand Gurlitt, amasser of the now-famous Gurlitt art hoard containing Nazi-looted pieces but largely disappointing. I really, really hate em dashes. No, that’s unfair. I have nothing against the em dash per se, I hate its constant misuse. Em dashes are for violent, earth shattering asides. Asides so stark and arresting that neither commas nor parenthesis will do. We’re talking about an interruption akin to a car crashing through the front of your house or the heavenly booming of the voice of God. In the silent film The Epic of Everest they use two em dashes when Everest is seen for the first time: “— —Everest!”. Perfect. To use an em dash, what you are setting apart pretty much needs to be Mt. Everest levels of separate from the rest of your sentence terrain. A great use of an em dash is for dramatic interruption: when someone just cuts you off entirely or you totally change your mind. Stark. Arresting. Are you using an em dash like a colon? Well use a colon. Are you using an em dash like a semicolon? Well use a semicolon. Are you using em dashes when you could/should use commas or parenthesis? You know what I am going to say. Are you using it INSTEAD of a en dash? You’re a monster. When I see writing that is em dash heavy, I immediately approach it with caution. Speaking generally, good writers use em dash sparingly and properly. Not so good writers love them and stick them everywhere. It is a writing shibboleth. I sat down at the pub with my pint, opened up Hitler’s Art Thief, and there were em dashes everywhere. I did really want to like this book. In theory it ticked so many boxes, not the least being that I have to develop a course on ‘Repatriation, Restitution, and Return’ and Nazi forced sale and seizure of Jewish-owned art are going to be major components of it. 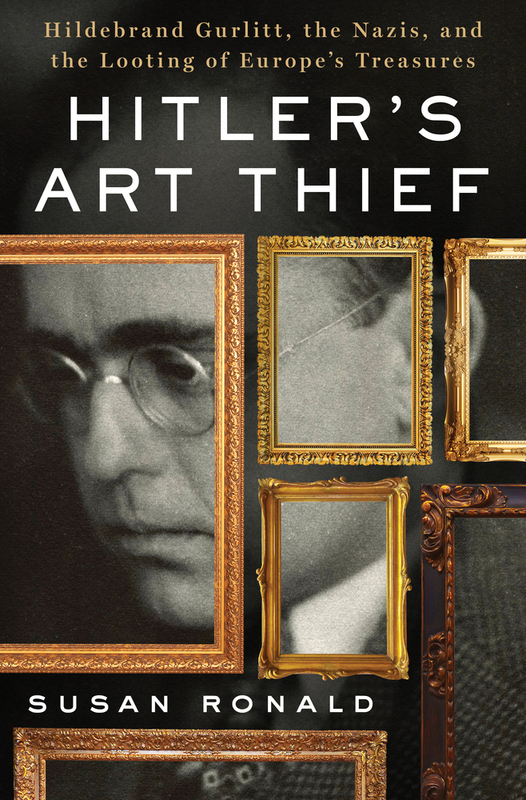 I was hoping that Hitler’s Art Thief would be both an amusing read and something I could use in class or at least use to shape my teaching. I wanted to drink my pint, enjoy my reading, and work at the same time. 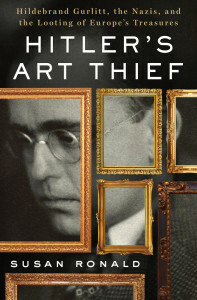 Heck, the author says herself that she inherited three Nazi-looted paintings and has been searching for the heirs. Heck, she even said that Cornelius Gurlitt knew this book was being written about his dad before he kicked it. Cool angle, I thought. Unfortunately I really didn’t like this book. As I was reading I started to ask myself if, perhaps, this is just a book for someone else. Perhaps academia has desiccated my capacity to just enjoy myself, leaving a shriveled, dry brain mass that only likes shriveled, dry academic writing. Then, of course, my friend showed me a spectacular passage in the pop history book HE was reading about battle marmosets and a guy cutting off his own mangled hand, tying a chicken to the stump, then going back in to battle while telling his remaining hand to avenge the other one. No, I’m still alive. I like good pop history writing. It’s the book, not me. There was just SO much speculative scene setting in every chapter of Hitler’s Art Thief. Halcyon summer days rolled into autumn, etc. etc. I found myself skimming ahead, searching for something real amid the posturing. The scene setting would grow to grand size, offering loads of info about the build up to war, random multi-paragraph asides about Nelly Bly, and footnotes containing information that was not relevant to the discussion. In other words, stuff that the book wasn’t about. I started thinking “this is a 200 page book masquerading as a 400 page book”, and about teaching students the importance of sticking to word limits and getting to their point. What do you put in your background chapter, students? The background you need to support your argument/narrative. What do you not put in your background chapter? Everything else. The result of all this superfluous verbosity was that that the character of Hildebrand Gurlitt never develops. He dips in and out to provide one line of commentary, if that, on the broad topics that are being discussed. He, the subject of the book, is one sentence out of every twenty, at least in the first 3rd of the book. Again I found myself skimming, looking for Hildebrand’s name and reading what he had to say, skipping whole pages. Huh? What things? Say what you will about Hitler, that guy was sure as heck up for a challenge. He was a monster, but he applied himself to all the challenges of monster-hood. The constant snark about Hitler just seems, well, lazy. It feels like a lack of engagement with Hitler’s own interactions with the art world which, no doubt, led to the whole situation this book is meant to cover. Quite frankly I feel like the book would be better if the whole Hitler character was cut entirely (ha). What I mean is that by following young Hitler through what seems to be an entirely uncritical account of his art school failures, we move even further away from the person who the book is meant to be about: Hildebrand Gurlitt. More wheat, less chaff. And speaking of my shameful use of wheat+chaff just there, as my dear friend said while reading next to me, writers “should avoid clichés like the plague”. This book has more clichés than em dashes, although em dashes are often used to call attention to the clichés. Now time for radical honesty: I stopped reading at page 112, so there are 208 pages left where everything could come together. Before I post this I am going try to give those a fair skim, but I don’t see things turning around. Now I am starting to feel bad because I am really just ripping this book up. I really did want to like this book. I really hate writing negative reviews. I like to gush with excitement, but I just can’t get going for this book. If one of you read it and love it, please email and tell me I am wrong. I’d be happy to post your review as a rebuttal. So, yes, I am in the market for another Gurlitt book. There are one or two other ones about to drop. I’ll be looking for them. To be fair, not everyone has that kind of material to work with. That marmoset was boss.